If you are regularly betting on horses and would like to make big money at the track, you would certainly be on the lookout for the right source of information. There is no denying the fact, that each year millions of dollars or perhaps a billion dollar is staked on various horse races across the world. However, when it comes to winning big money, there are only very few people who can make it big. Hence, it is only natural for such persons to gain access to some useful and pertinent information that could help them to make it big and earned big money. Therefore, let us try and find out ways and means by which is it is possible to increase the chances of making it big as far as stakes in horse racing are concerned. It would be pertinent to mention here that if there are 100 people who get into horse racing 95 people never win anything significant in this sport. It would also be pertinent to mention here that a same percentage of people end up losing money in this sport. It would be wrong to assume that all these persons lose because of bad luck and bad fortune. There is something more to it, and one should closely study the habits of the remaining 5% who are able to make some big money out of it. 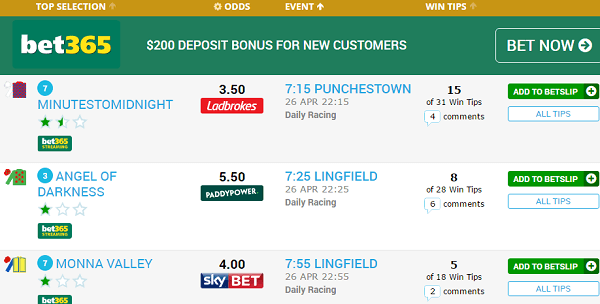 Hence, if you are keen on getting the right answer to the question how to make money betting on horses, it would be worthwhile to find out how these minorities are able to beat the odds and make decent money as far as horse racing is concerned. The problem with the 95% is that they are ready to throw their hard earned money blindly without proper research and information and that is the reason the balance 5% are able to make the most out of it. There is no way one can win big money in horse racing unless you have a sound strategy for managing your funds. The question that comes to our mind is what exactly sound money betting is all about. The answer lies in finding out what exactly optimal betting is all about. This is a mathematical principal who also is referred to as the Kelly Criterion. It is about setting apart a part of the bankroll taking into account your edge on the game. There are some ready-made tools available on the internet which could help you to come out with the right calculation that could help you to manage your money perfectly well. To put in simple words any horseplayer should be able to bet 3-4% of his bankroll as far as each wagering is concerned. You must understand the importance of setting apart an adequate bankroll, and this should be used only for horse race betting. Though it could vary from person to person depending on the size and depth of his pocket and risk appetite, on an average anything below $2000 would not be sufficient to make a big impact, and it will not allow you to make money with betting on horses. Once you have this amount available with you, you also must know how to break this up into different horse races. You must try and break the wagering amount to as many profitable units as possible. Ideally, each unit size should be around $20.00 so that you have chances to try your odd for at least 100 such races. This should give you a reasonable chance not only to make a decent return on your investment which could be quite a few thousand dollars. You also must understand the importance of restricting your wagering depending on the right situations. When we talk about right situations, we are referring to a scenario where you can get the right information and knowledge regarding pricing as well as value and that too before betting is done. Winning a horse racing is not only about picking the highest percentage of winners. Rather it is more about finding the right betting opportunities taking into account price and value. Are you keen on getting the right answer to the question can you make money with betting on horses, then you must find out ways and means by which you can master your handicapping method? There are many aspects to handicaps. While some use speed based method, there are others who make use of pace. There are a few others who continue to use esoteric ratings based on creations which are of their own imagination and research. Each one has its own unique features and advantages and also downsides. The best thing is that any good horse racing punter can master any method and make productive use of it. Though there could be some horse racing books or some handicapping software in most cases, the horse racers discard it after a few tries because it does not give them the desired results. At the end of the day, there is no doubt that while there is big money to be made in horse racing it cannot happen overnight. There are quite a few important things that must be learned, and it does take some time and effort. It is about being always in a mode of learning and gathering as much information as possible. There are many parameters pertaining to the horse, the jockey and the circuit which must be taken into account for getting the best possible results. Without this, in place, you will not be able to strike it rich.